Electronation was originated by Roy Avni back in 2002 and has been run by Hans-Jochem aka Terry Toner since 2010. This Saturday the legendary organization will be throwing its last event ever under the name Electronation. An event that cannot happen without us reminiscing about the last 10 years of partying in Amsterdam and beyond. We had a chat with captain Terry Toner about his memorabilia. 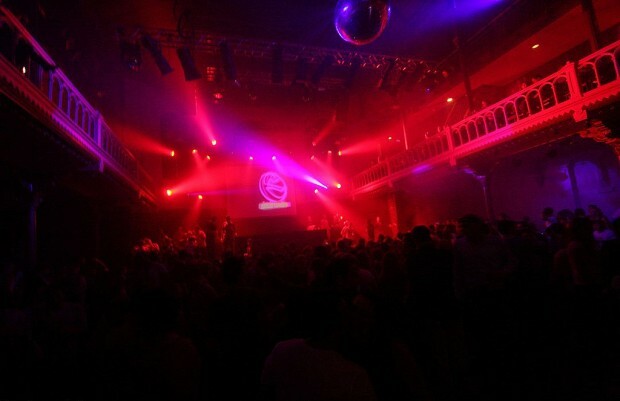 Electronation’s first party took place in Amsterdam’s Akhnaton, Terry Toner wasn’t in the organization at the time, but he was there as a visitor with his DJ friend Herr Arter. “Herr Arter ran into Roy Avni once at the Melkweg, that’s where he was informed about the Akhnaton party. Arter promised to give Roy a mixtape there, which I had to mix, because Arter wasn’t capable enough at the time. The party consisted of 60 people, 58 of which were goths and gays, 2 of them students: Herr Arter and Terry Toner”. A few parties later, after some bluffing, the two became residents for what would become a 10 year long Electronation legacy. So what made a night out at an Electronation party more remarkable than at other parties? And when did your role change from resident DJ to (co)owner? On the 13th of june 2010, Roy passed away and Terry Toner started sailing the ship. It became serious business for him. Together with his new colleague Michiel Bierman and an intern he continued to throw Electronation events. The first of which was a month after the death of Roy, an 8 year anniversary party at Paradiso. Could you say that was your most memorable Electronation moment? So after so many glorious moments, why stop? Then how does the future look like for you? After this last party I will continue to setup and sail with my new baby called NGHTDVSN. We’re building up some new initiatives like De Nachtdivisie, which is an accesible party in the Chicago Social Club with contemporary house music. NGHTDVSN is its big brother which will take place in Paradiso three times a year, it focuses on slightly bigger artists and a more futuristic electronica/techno sound. Finally, my colleague Michiel is very involved with Junction, which represents the new techno sounds of the city. Actually, we’re already busy with our plans for 2013, but in the end, just like Roy, my best benchmark is to go with what I personally like, or not.